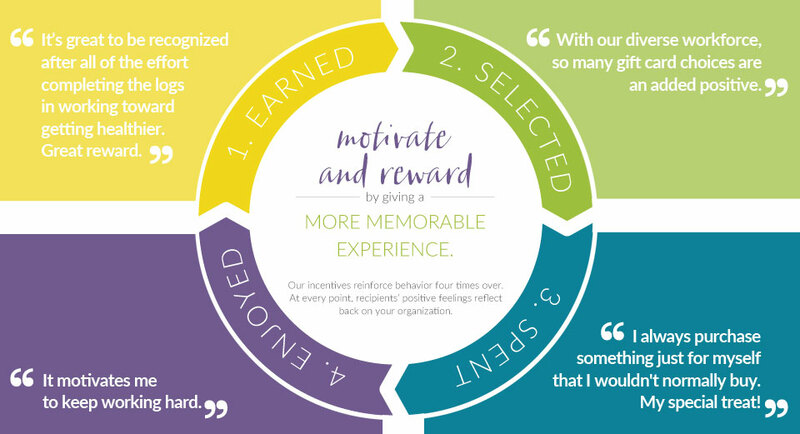 Rely on our power-of-choice incentives and Hallmark cards to add motivational rewards, inspiration and ROI to your outreach programs. Hallmark Business Connections makes people feel good about taking good care of themselves. Health plans choose us not only because our incentives have broad demographic appeal, but because Hallmark cards sends their message with sincerity and clarity. POWER-OF-CHOICE INCENTIVES ARE MORE MEMORABLE, GENERATE HIGHER PARTICIPATION AND MOTIVATE HEALTHY OUTCOMES. 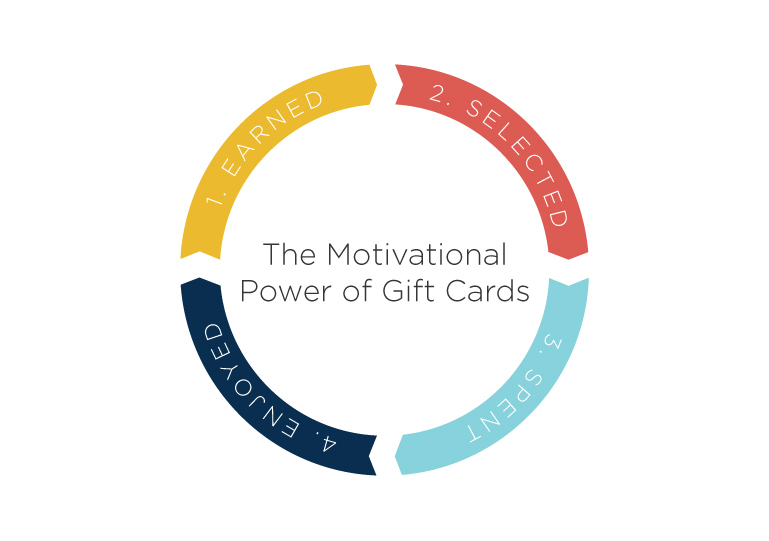 Unlike premium reductions that take a while to show up in employees’ paychecks and often go unnoticed, our gift card incentives offer tangible, positive feelings of reward and achievement. They contribute to and help create positive experiences that encourage continued healthy behaviors and outcomes. Find out how our incentives boosted health risk assessment completion by 59%. 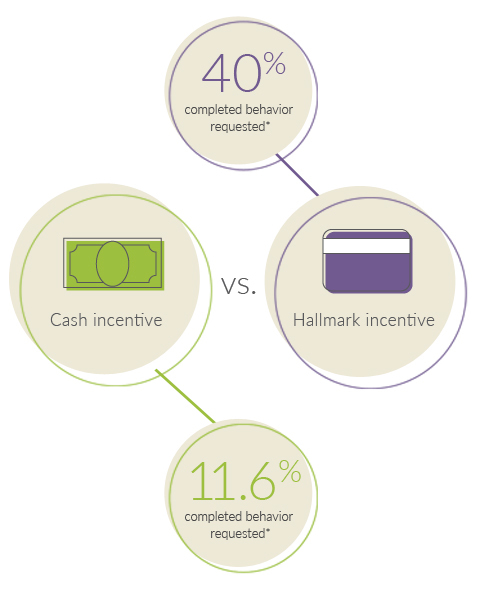 POWER-OF-CHOICE INCENTIVES CREATE HIGHER RATES OF MEMBER ENGAGEMENT. Decide what you want to reward. Whether it’s completing a health assessment, picking a primary physician or making a lifestyle change, once a member completes the desired activities, we’ll issue a custom-designed, personalized reward certificate containing a code redeemable for one or more gift cards. Members choose their favorite gift cards. They’ll have their choice of hundreds of major national-brand gift cards from retailers and restaurants, entertainment and travel providers. You can even pick a list of gift cards with only healthful options. We’ve found that some people crave immediate gratification, redeeming their awards right away, while others save them up to get bigger, long-wished for purchases. Either way, that positive experience reinforces their choice to live a healthier lifestyle. Convenience is key, so we make incentive reward redemption easy. Our online portal branded with your health plan or employer’s logo is simple and intuitive. Gift card orders placed by 2 p.m. are sent out the same day with a choice of email or mail delivery. POWER-OF-CHOICE INCENTIVES REINFORCE HEALTHY BEHAVIOR FOUR TIMES OVER. In members’ minds, gift cards are perceived differently than other incentives – the reward is more memorable, has greater trophy value, allows for more choice and fosters higher satisfaction. USE HALLMARK CARDS TO SPARK ENGAGEMENT IN YOUR MEMBER OUTREACH. If you add an incentive, you’ll increase engagement. Just send us your list (absolutely secure) and we’ll take care of the printing, personalizing, addressing, stamping and mailing for you. Thousands of companies have put Hallmark greeting cards to work as powerful direct marketing tools, offering a lift in response rates up to 44%. Read the case study here. Contact us and let’s make a plan.